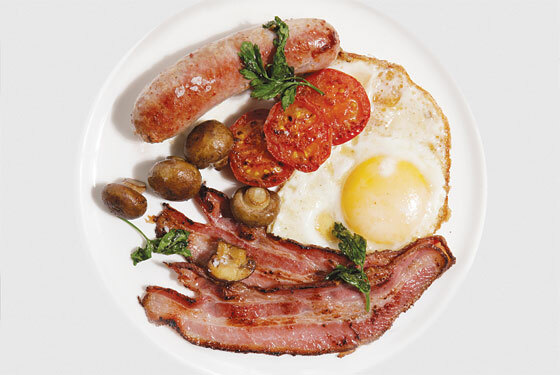 To eat well in England, W. Somerset Maugham once said, you should eat breakfast three times a day. He must have been thinking of the classic full English breakfast, consisting of bacon, eggs, sausages, tomatoes, mushrooms, and lots of toast (pictured, at the Breslin). Lately, that morning meal has become all the rage in New York, not only at Brit-owned hotel restaurants (Crosby Bar, Le Caprice) but also at British-themed restaurants at American hotels (the Breslin), not to mention Belgian-beer shrines (Resto). It’s nearly enough to make you give up your morning schmear.